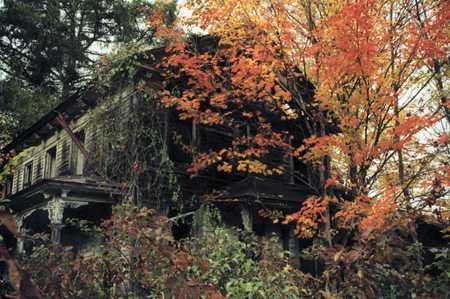 �THE HAUNTED HOUSE��people whispered in fear. But, that was long ago�when things were grandeur. Its people of wealth�were gone. Now, people wanted the small. Now, people turned away�with a sigh. And, it was happening fast. No wonder the world stood�aloof. And, the old house would have to endure. Past the old house�Gramma and I. The house�as it was�in by-gone days. People now saw her true worth. To restore the house to the time of their ancestors. Just a little loving care�and that�s what it became!